Quantum Zapp stars GoNoodle’s resident champ inventor, Zapp Von Doubler. Zapp has invented the ZapOuttaHere 2000 (his hoverboard time machine)—but now he’s trapped in the past, and only your class can get him home! Through vigorous movement, your class will power Zapp through time. Along the way, you’ll learn about over 100 of the most amazing inventions ever created. Focus student energy with short high-energy exercise. Introduce 100+ STEM topics through a historical lens. At the end of each session, Zapp discovers a new historic invention, giving your class an engaging and interactive tool for exploring STEM concepts. Encourage reading practice with informational text. Print your own Time Traveller’s Journal to keep as a class keepsake or send home with students as reading materials. What’s special about Quantum Zapp? It’s highly replayable: 100+ inventions to discover over the course of a school year. It’s STEM focused: introduces topics and encourages student curiosity. It’s built for routine: takes 3 minutes to play, and each experience ends with a unique outcome. 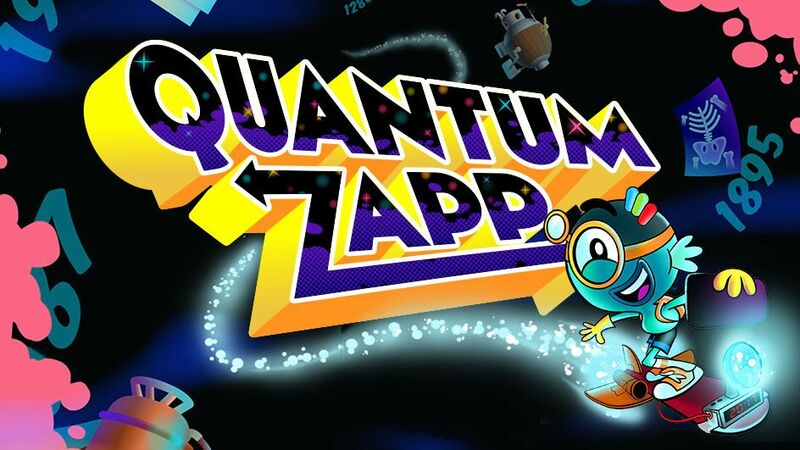 Quantum Zapp is available for GoNoodle Plus users now! Find it in the GoNoodle Plus channel, or in the Plus home—just click Plus at the top of your account. Quantum Zapp does not work on mobile devices or tablets at this time. This activity can only be played when using a desktop or laptop computer.